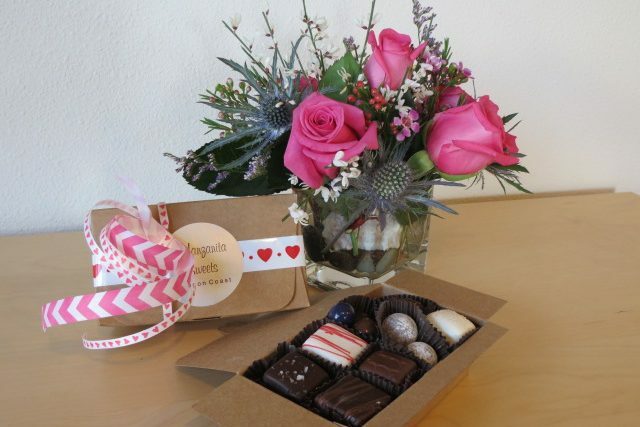 Enjoy a lovely mini bouquet of flowers and a quarter pound of fine assorted chocolates. Must be ordered in advance and the bouquets may vary. The cost of this special is $45. Items may be purchased separately. Flowers provided by Wisteria Chic and candy provided by Manzanita Sweets.